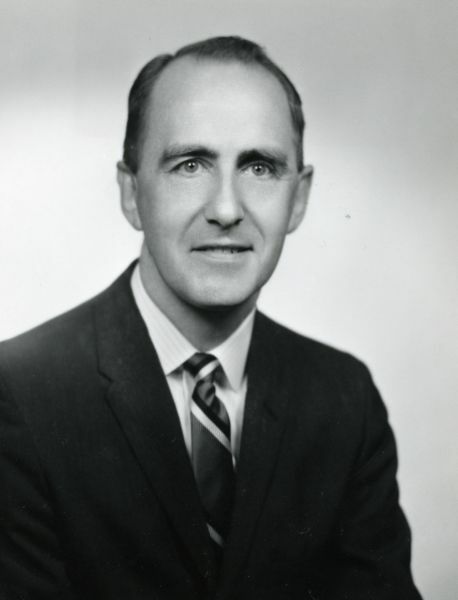 Walter Dunnett reminisces in the December, 1966, Wheaton Alumni magazine. It was the year 1946, and I was a student in the School of Commerce at Northwestern University. On occasion, seeing my fellow students who were enrolled in the School of Education, preparing for a career in the classroom, I sometimes found myself saying, “What a waste of time!” The next year I transferred to Wheaton, looking now toward a major in history, and undecided as to the future. Vividly I recall the experience – the Lord that year laid a burden upon me and called me to be, yes, a teacher! My whole perspective was changed and I could think of no other career. I thank the Lord, too, for a number of deep spiritual experiences during my Wheaton years. There were, for example, the meetings with Dr. Harry Hager, and with Mr. Stephen Olford, held in the Chapel during 1947-48; and the impact of the 1950 revival. What wonderful days those were, and they served to cement and clarify that intimate relationship with God which is so essential to any child of His. And then there was, of course, the intellectual stimulation of the classroom. Particularly through my capable instructors in History and Bible the Word of God became clearer, more meaningful and directive. I can only say it became a “new Book” during those days, a Book characterized by unity, by historical relevancy, by authority. Now as I look back over 13 years in Bible school teaching, particularly in the field of New Testament studies, I voice thanks to God for the privilege of spending six years as a student at Wheaton. (It wasn’t that I was so terribly slow. It just took time to pick up three degrees: the A.B. in 1949; the A.M. in 1950; and the B.D. in 1953.) And a graduate fellowship granted me was, may I add, a wonderful preparation for teaching. When one has had devoted parents, a solid Christ-centered education, and a loving wife and family, what more could he ask? Now finishing up on a Ph.D degree, and teaching this year at Wheaton (1966-67), I am grateful for all this – and more.